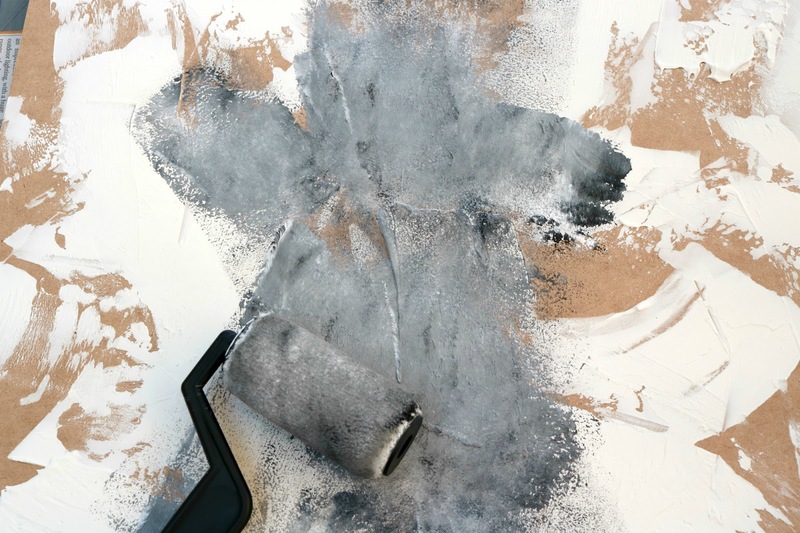 This Step by Step Tutorial will show you how to make an Easy DIY Textured Concrete Look Photo Backdrop on a Budget (For less than $10 each!). This handmade photo board is the perfect background for product photography, bloggers, food photography, flat lay photos and more! Click here to pin this tutorial on Pinterest! Photography, it might seem simple and straightforward - but when you're photographing for a blog or a business, a seemingly simple thing can suddenly become complicated - and expensive. That styled flat lay? You've got to have a background, some perfectly curated props, the right angle - the list goes on and on. Over the last 10 years of blogging (yep! 10 years! I was blogging before Southern In Law too!) I've seen photos change dramatically - and if you're a blogger or an "influencer" or even a brand today, you're probably feeling the pressure. But I want to help you take some of the pressure off! You see, a quick Google search will give you hundreds of thousands of photography backdrop/photography board/photography backgrounds you can buy - but they're pricey. 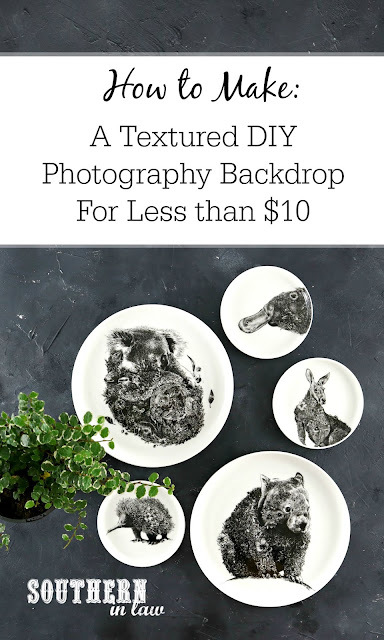 A single backdrop could set you back $75-100, especially if it's textured.... but what if I told you that you could make your own DIY Textured Backdrop for around $7? 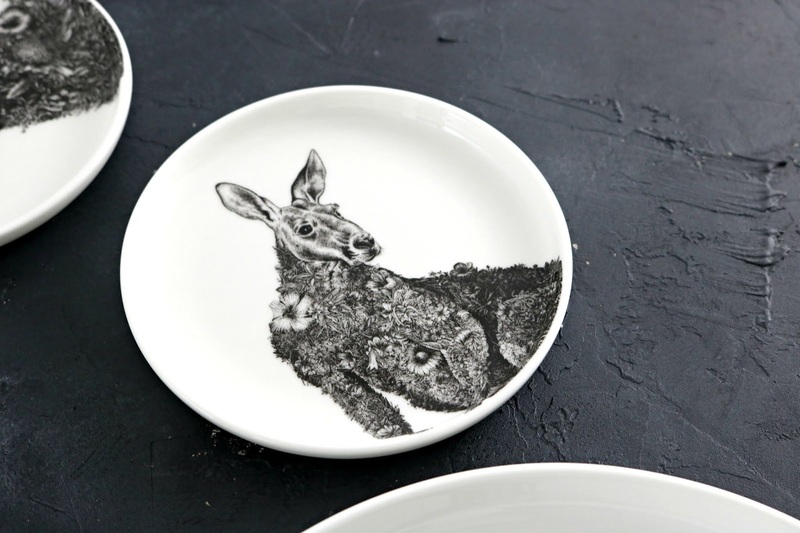 That's exactly what this DIY will show you how to do. 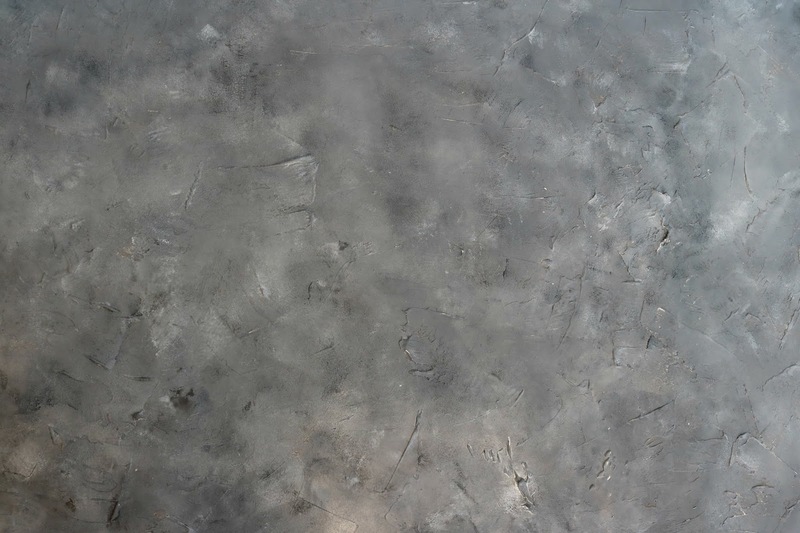 In just a few hours (I say hours because it needs to dry, but it will only involve about 10-15 minutes of actual work) you'll have a custom made textured concrete look backdrop that's perfect for photos. Whether you're a food blogger wanting to take beautiful food photos, a beauty vlogger wanting a background for Instagram flat lays or a business owner looking for new ways to photograph products for your website, this backdrop DIY is perfect for you. I find it's easier to use a roller vs a paint brush. Pictured is a $2.10 trim paint roller set from Bunnings. One tub of filler will allow you to make 4-6 backdrops (or more, depending on size!). I worked out the price per project based on making 4 backdrops using 4x boards, 6x tubes of paint and 1x tub of multipurpose filler. Place some newspaper down on your table or workspace and place your MDF panel on top. Take a small amount of your multipurpose filler using the spatula it comes with. 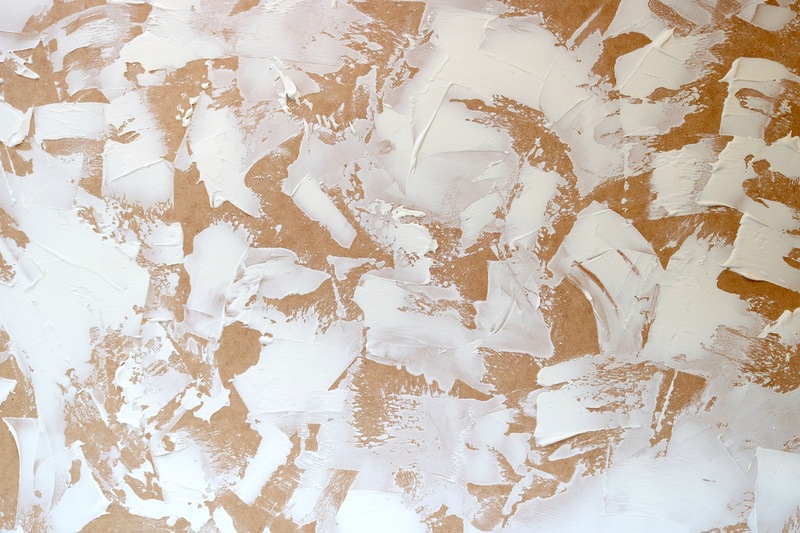 Roughly spread your filler onto your MDF board. 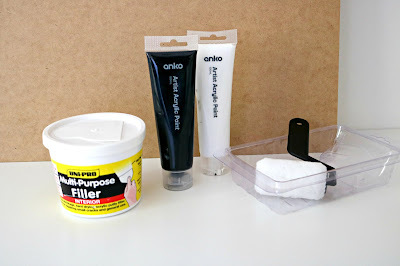 You want to use quite a lot and you want to be quite messy with it so you'll have plenty of texture later on. Keep spreading the filler across your board until it's covered. Not every inch or the board has to be covered with filler - you just want to make sure you have plenty of raised bits and different textures (as shown). 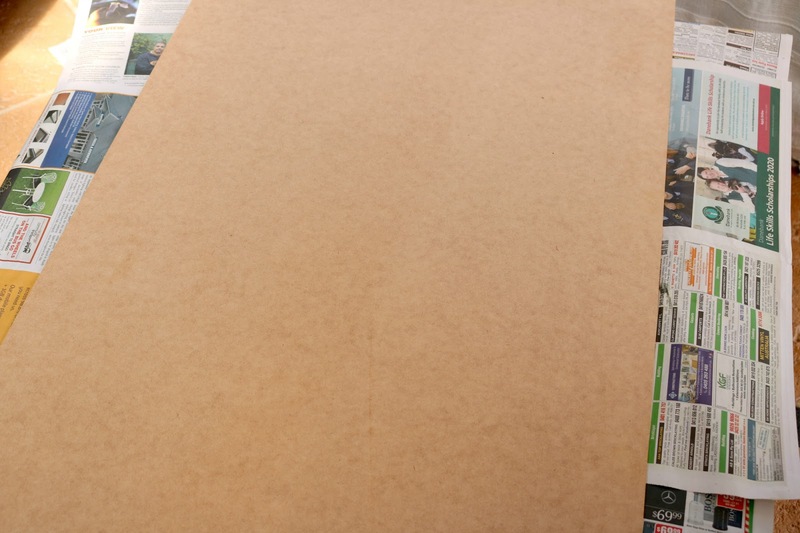 Once you're finished, leave your board to dry completely (drying time will depend on the temperature). 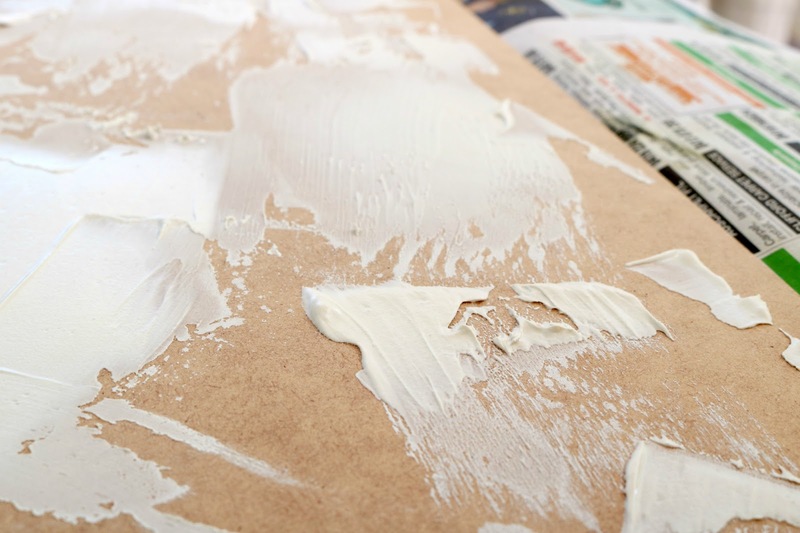 Once your board is completely dry, it's time to paint it. 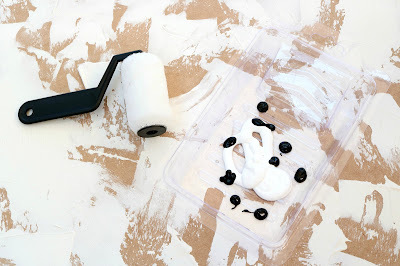 Add your paint to your roller tray and get rolling! So I have a mix of colours on my board, I simply squirt the paint into the tray without mixing it. You'll see the effect in the next photo. 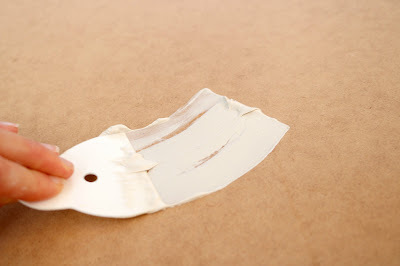 Continue rolling your paint on, adding a little bit of extra white/black/whatever colour you're using so that the board isn't one single colour (though, you can make it one single colour if you would like!). Once your board is painted and you're happy with the colour, leave it to dry. Tip: This project is really forgiving. If you don't like the colour, change it! 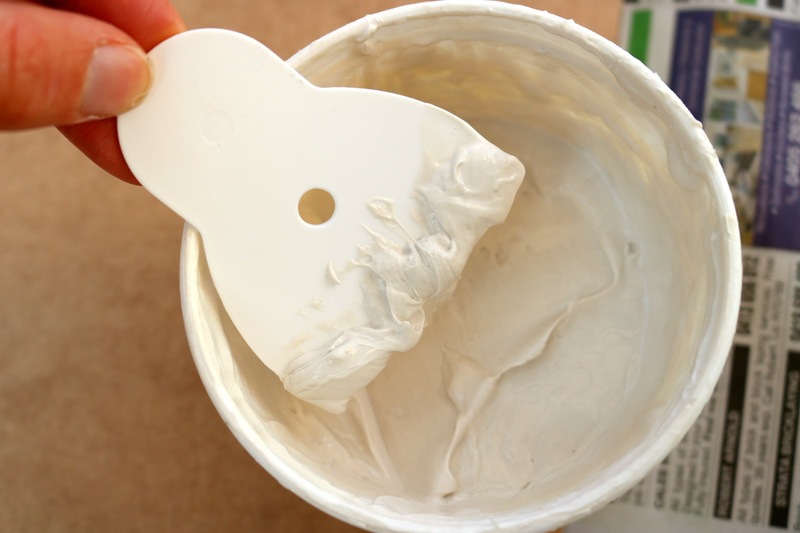 If you feel like there's not enough texture, add some more filler on top and then paint over it once it's dry. Once your board is dry, you're ready to use it! 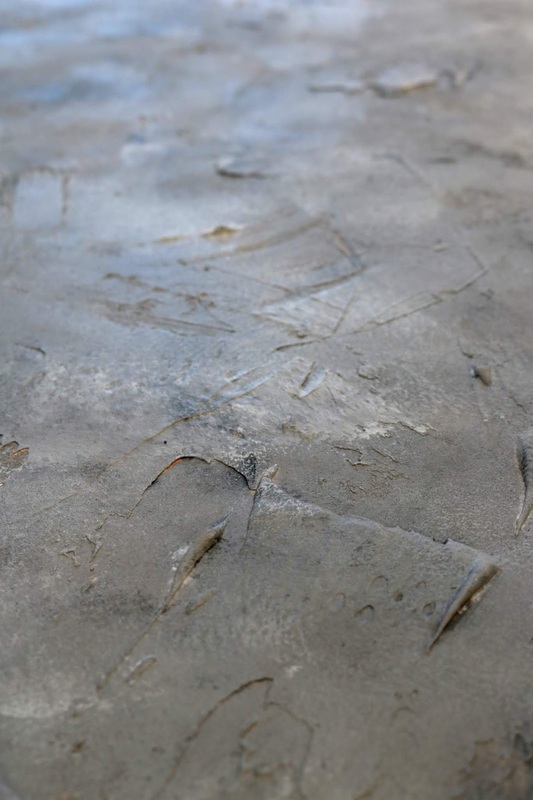 Here you'll see how the light picks up the texture you made with the filler. For the pictured version, I wanted to create a rough concrete look so I added scrape marks and paint splatters. Try photographing on your board before making any changes, as it will look different in photos than it does in person. But tell me, what do you usually use as photo back drops? And what are some things you'd love to buy to improve your photography/blog but just seem too expensive? When I first looked to buy photo backdrops for my clients I was blown away by how much they cost - so I've been on a DIY mission ever since! I'm also thinking of sharing a tutorial for a lightweight DIY rustic wood board - is that something you want to see?